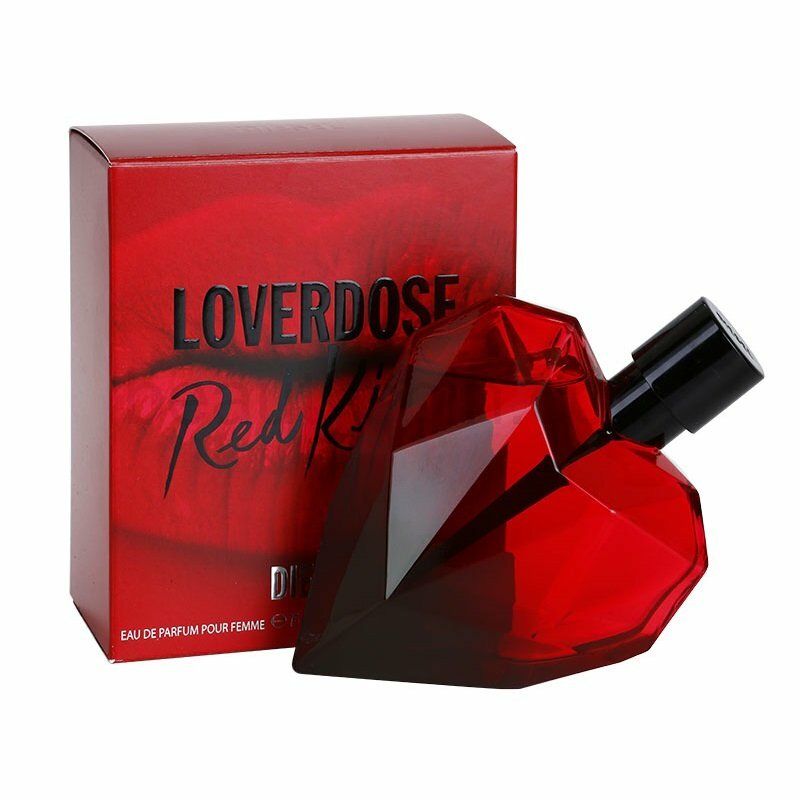 Diesel launches Loverdose Red Kiss in April 2015. Diesel Loverdose Red Kiss promises the experience of unbridled passion and says: “Are you ready for the perfect kiss … one that makes your heart race ? !” The fragrance is also announced as a weapon of mass seduction and as a dangerous aphrodisiac. Loverdose Red Kiss is a mesmerizing floriental, gourmand fragrance: a vibrant contrast between a sensual orange blossom and an ambery addictive hazelnut. Available in red bottle of the standard Loverdose form, as 30, 50 and 75 ml Eau de Parfum.